C Lazy U is one of the few remaining places where you can experience the traditions of the American West from the moment you arrive. 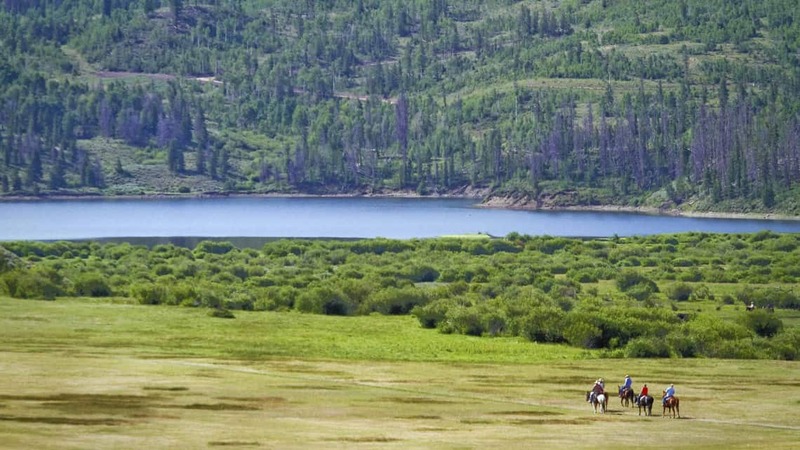 At the core of our mission is providing a place where families can gather together on their Colorado family vacations in a spirit of adventure and camaraderie, far from the stresses of daily life. The ranch has been family-owned since its inception and our goal is to help families create memories that will last a lifetime. We strive to embrace our guests with genuine warmth and true western hospitality. Families are drawn to the C Lazy U generation after generation, year after year to recharge and revitalize and we aim to help them continue this tradition far into the future. Your horseback riding vacations at the C Lazy U will feel like stepping back in time to a comfortable place full of leisure and laughter, sharing, and exploration. We want the C Lazy U dude ranch to forever be a place where families can grow together. The heartbeat of our guest ranch is its continuing tradition of horsemanship with a daily routine that makes horseback riding a focal point of your dude ranch vacations. With more than 180 horses, we are able to pair each guest with a horse that fits perfectly with their riding ability. For the duration of the week, horse and rider share a special relationship built on patience and mutual respect. 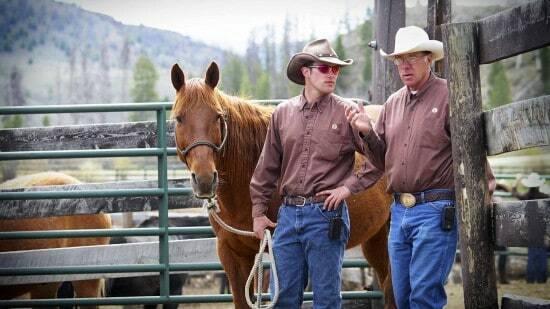 Our wranglers guide the mountain trail rides and expert horsemanship lessons are available. The 12,000 square foot, heated indoor riding arena provides year-round riding enjoyment for your family ranch vacation. Horseback riders can choose from instructional, slow, medium or advanced instruction riding tours, or concentrate on their skills in a one-on-one riding lesson. All of our instructors are world-class and dedicated to helping you get the most from your time here. Everyone in the family practices and prepares for the the big “Shodeo” at the end of each week which includes horseback riding competitions and equestrian-skill events. The kids are the highlight of the show, as they showcase the skills they’ve acquired throughout the week. The C Lazy U is one of the few horseback riding ranches that is celebrated world-wide for its horsemanship program with guests and wranglers alike coming from all over the world to be a part of this continuing tradition. Nationally acclaimed instructors offering special clinics include Julie Goodnight and others who will help you develop a kinship with your horse that becomes second nature. This is horsemanship with a purpose—riders of every age and ability effortlessly controlling their animals, for easy trail rides, a loping run or pushing cattle.